Electricity has changed the way people live in this world. However, with the benefits of power come with inherent dangers. 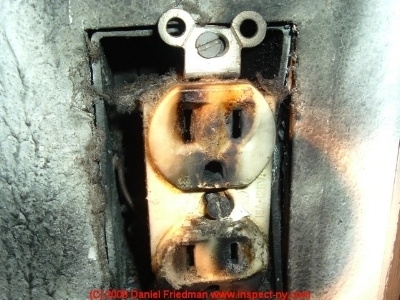 Once electricity gets out of control, this can prove to be dangerous to both property and lives. When an incandescent light bulb is turned on, the gases within it heat up, which can then react negatively with the cold temperature around it. Incandescent light bulbs should never be close to any flammable materials such as drapes, beds, fabrics, and other similar items. Safety is of utmost importance when it concerns the electrical components in your home. By being familiar with these common electrical dangers, it will be easier to protect yourself, your family and your property from these risks.